I love a family vacation that we can make happen over a weekend an on a single tank of gas. I also love exploring new to us small towns. Last summer we had an opportunity to stay overnight in Hamilton County, Indiana and we were given lodging at the Cambria Hotel and Suites in Noblesville. 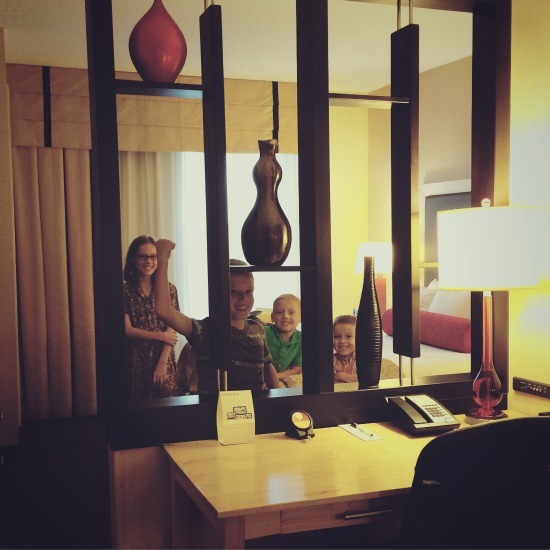 Sometimes it is hard for me to find top notch hotel accommodations for our big family, because I am not a fan of squishing all of us into one hotel room. 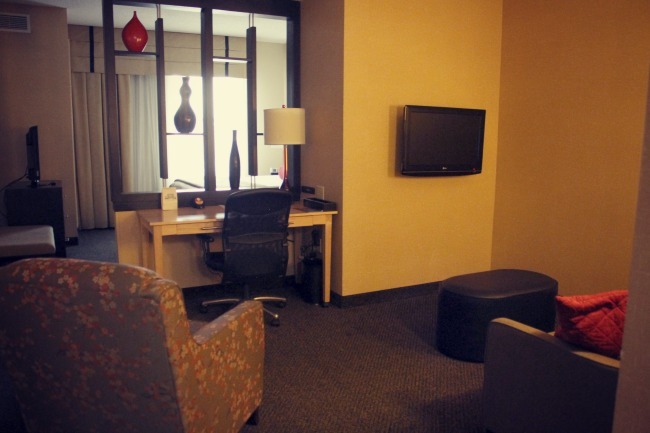 When we travel we are always looking for a hotel suite that gives us enough room to spread out a little bit. Nothing makes a trip worse than being like sardines in a hotel room. The suite we stayed in at the Cambria Hotel & Suites was fabulous. I loved everything from the mini kitchenette to the groovy decor. My favorite thing though was that the bedroom had a door, so Michael and I had our own room where we could get a little peace and quiet and watch our own TV at night instead of fighting the boys for control of the remote. 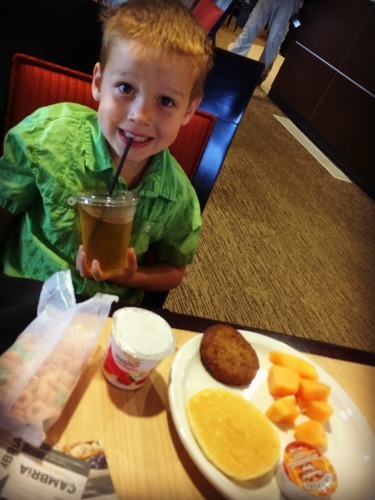 Henry’s favorite thing about the Cambria Hotel was their breakfast buffet. 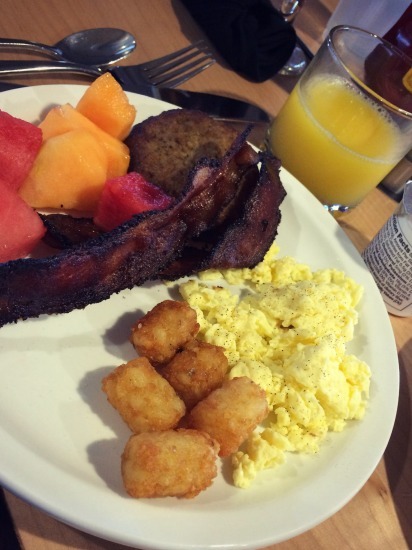 The way to that boy’s heart is through a breakfast buffet where he can eat all of his favorite foods at once. 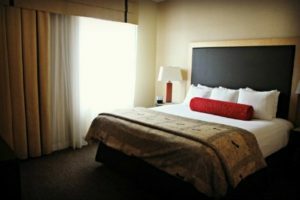 The Cambria Hotel and Suites in Noblesville is not too far from downtown Indianapolis, and also within driving distance of many cool places to eat, drink and explore in Hamilton County, Indiana. Cambria Hotel also offers free WIFI, a gym, pool and hot tub. 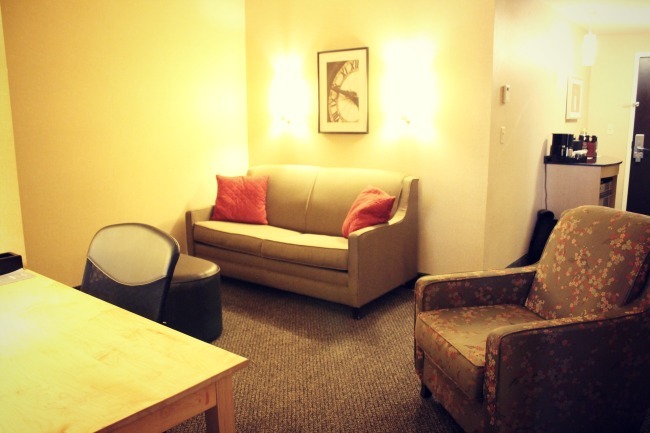 The lobby offers a bistro and bar area and a comfy sitting area. 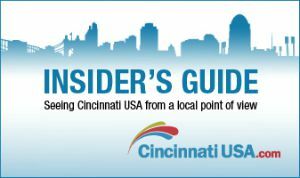 We were on the go for most of our weekend in Hamilton County, so we did not have a chance to swim…but there’s always next time! I am sure if we stay in Indianapolis or north of the city we will be staying at Cambria again! 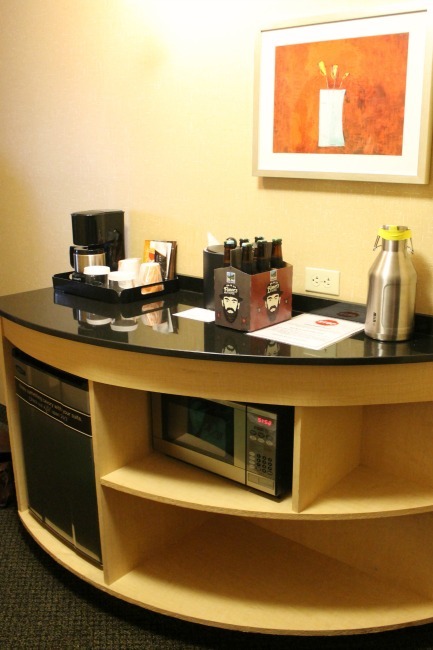 The Cambria Hotel & Suites is located at 13500 Tegler Drive in Noblesville, Indiana. 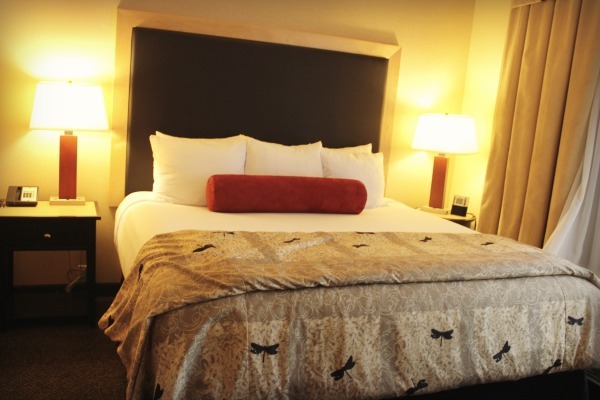 Visit the Cambria Hotel and Suites website to book your stay! Disclaimer: Our stay and breakfast at the Cambria Hotel & Suites in Noblesville were complimentary for review purposes, but I promise my opinions are 100% my own. This place was fab!